BOI vs BOB vs PNB - Which PSB to buy? 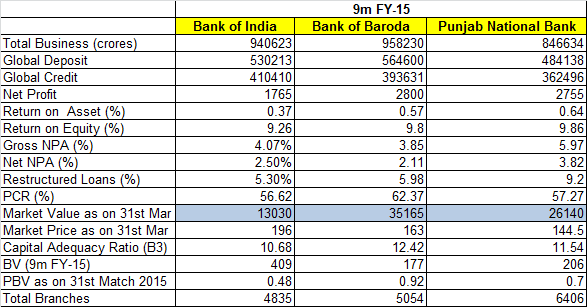 A brief comparison of India's 2nd tier public sector banks (Bank of India, Bank of Baroda, Punjab National Bank) on parameters of total business, NPAs, restructured loans, profitability, return on equity and valuation reveals that Bank of India is trading at cheapest valuation among the lot in-spite of being largest in terms of global credit and holds promising upside potential in 2 years time-frame. 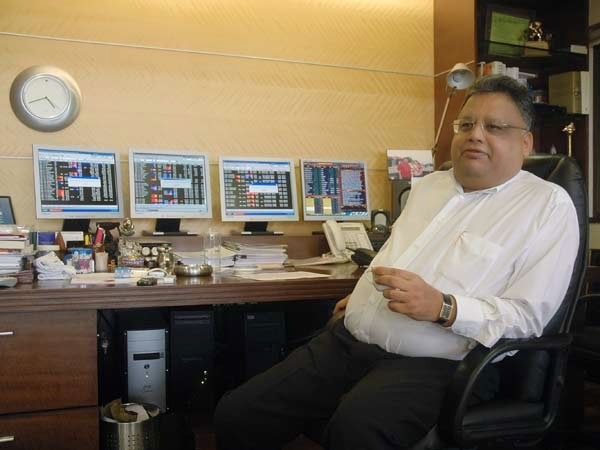 Having started "Amit Agarwal Model Equity Portfolio" on 21st March 2013, primarily to educate investors on stock selection, diversification (risk management) & portfolio management, the practice completes it's 2nd year of existence and has come a long way in terms of popularity and acceptance among small investors/ traders/ students. Booked profits in couple of names and allocated the released capital to average some of the existing one and also bought couple of new scrips. The net portfolio at cost stands increased to little over Rs. 2.02 lakhs. The model portfolio will complete it's 2nd year on 21st March and we will gauge the performance of the portfolio at market value on that date. In case you are on the blog for the first time, we started the model portfolio exercise (the first of its kind in India) on 21st March 2013 with a sum of Rs.1 lakh in order to help small investors in understanding the stock selection and portfolio diversification. Also many investors follow this model portfolio closely and buy and sell stocks based on the portfolio action.